« Netflix has joined the Motion Picture Association of America. Getting cliqued up, making moves! NASA is going to be making moves in 2022, folks. They’re going to attempt to knock an asteroid out of orbit. While I’m generally convinced we’re going wipe ourselves out, it’s nice to see NASA taking on cosmic threats to our existence just in case we don’t. Or, at least they’re trying. 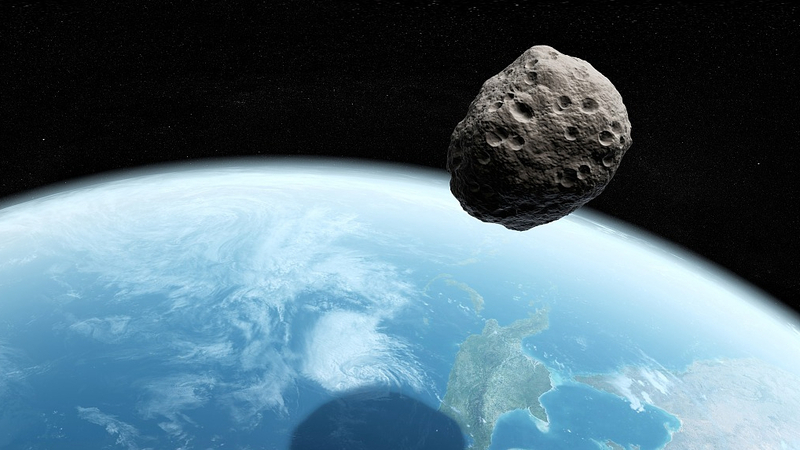 If an asteroid were to head toward Earth, we would be quite defenseless, as we have not successfully developed a method that could reduce — or entirely avert — the impact of a devastating collision. However, that may be about to change. NASA has approved a project called the Double Asteroid Redirection Test (DART), the aim of which is to throw a “small” asteroid off course in October 2022. The asteroid in question, informally known as Didymoon, is a moon asteroid about 150 meters tall. It’s part of a double asteroid system — named after the Greek word for twins, Didymos — in which it orbits another 800-meter asteroid about a kilometer away. When DART is launched, it will be powered by a solar-electric-propulsion system and will eventually collide with Didymoon. The spacecraft will also be accompanied by a European Space Agency (ESA) spacecraft called Hera, which will be largely responsible for collating data about the asteroid — however, according to Space, it won’t be on-site during the impact, but it will be present afterward. According to the ESA, when Hera launches, it will be accompanied by two small CubeSats — nanosatellites no larger than a cereal package — that will record additional data, such as the gravitational field and the internal structure of the asteroid. The two satellites will be released around the asteroids and will land on the two space rocks. “DART would be NASA’s first mission to demonstrate what’s known as the kinetic impactor technique — striking the asteroid to shift its orbit — to defend against a potential future asteroid impact,” Lindley Johnson, planetary defense officer at NASA Headquarters in Washington, said in a statement. The idea is that the DART spacecraft, which weighs in at about 500 kilograms, will hit the asteroid at 6 kilometers per second, changing its orbital velocity around Didymos by approximately 0.4 millimeters per second. This may sound like a negligible figure, but the reorientation will be substantial enough to be measured from Earth with telescopes.